Below you will find examples of some of my scripting work. I use Mel, Python and Pymel for automating redundant tasks. 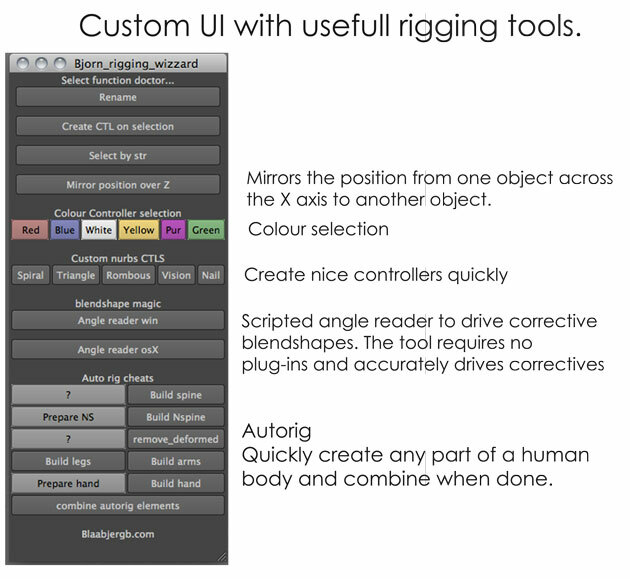 Very useful for quickly copying not just the skincluster, but also for grabbing all influence joints, adding them to new geo skincluster, and THEN copying the skinweights over. I keep updating the final script and uploading it so make sure to check back if you have already downloaded this tutorial! A very easy beginners tutorial which involves placing joints, creating controllers and constraints. A very very very useful tool for creating constraints that are supposed to stick objects to a mesh, but without wierd rotations and other nastiness. Check it out, you won’t regret it! 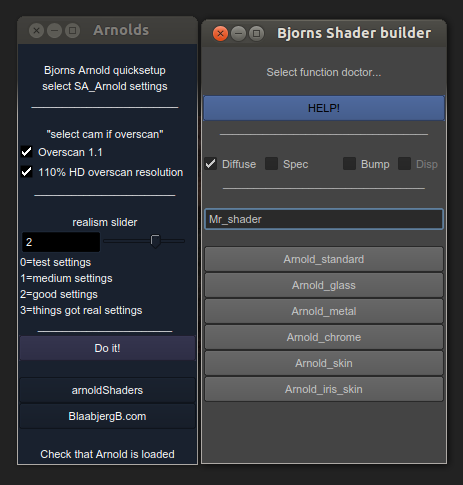 UI to setup Arnold render settings with presets. 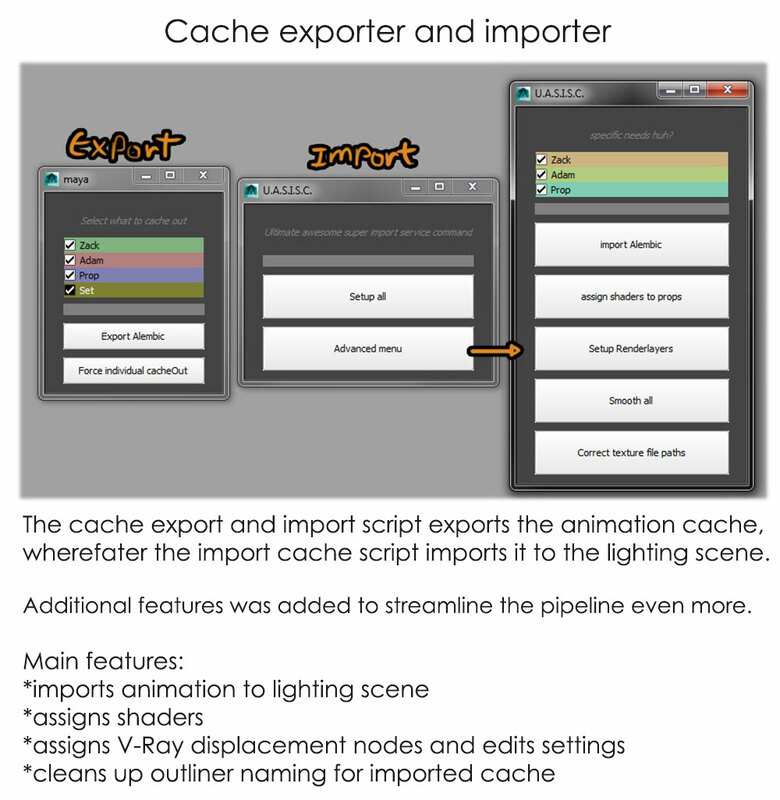 Also shaders can quickly be created. This is good for saving time in production. Thank you for the feature Lesterbanks. For first…thank you so much! !You are creating great resources for all of us!! I would like to ask you if is possible to extend the follicle script to a multiple selection of locators…a hint on where to start would be great!! That is a good idea. I would put the locators in one list and run the script in a for loop for each element in that list.